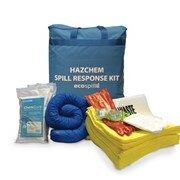 This is a large 363 litre marine oil spill kit designed for spills of oils, fuels, diesel, petrol and other hydrocarbons around harbours, ponds and other inland waterways. 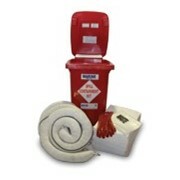 This 363 litre marine oil spill kit has been designed for large spills of oil, fuel, diesel, petrol, and other petroleum products. 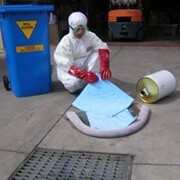 The SKM363 is a wheelie bin spill kit for use around marinas, harbours, ponds and other inland waterways. 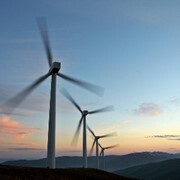 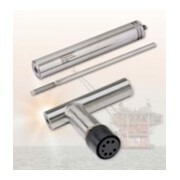 Its components have been designed to withstand harsh conditions. 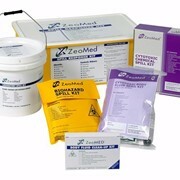 Oil and fuel spill kits contain a variety of meltblown polypropylene absorbents which are colour-coded white for easy identification. 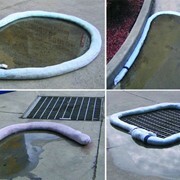 These absorbents are able to absorb up to 20 times their own weight in oil and have a fast-wicking action to clean up spills quickly. 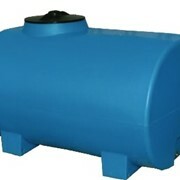 Oil and fuel absorbents are hydrophobic, which means they repel water. 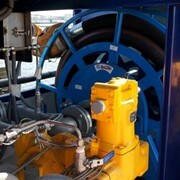 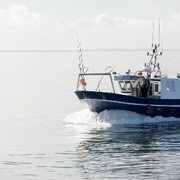 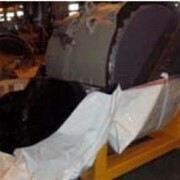 This makes them ideal for cleaning up oil and fuel spills around waterways, marinas, harbours and ponds. 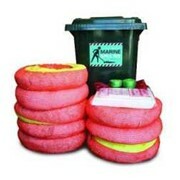 Contains 24 metres (8x 3m lengths) of oil and fuel absorbent polypropylene snap hook booms. 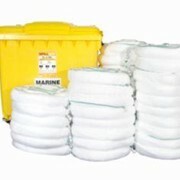 Contains polypropylene oil and fuel-only maintenance absorbents which are clean, non-allergenic and non-hazardous absorbents, with little or no dust. 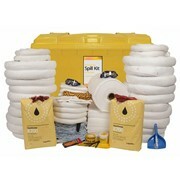 This large marine spill kit also includes a range of spill clean up tools to assist with safe response and disposal. 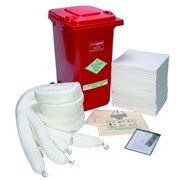 Marine oil spill kit includes labels, laminated re-order form and operating instructions contained within a specially designed document holder fitted to the back inside wall of the wheelie bin. 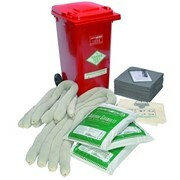 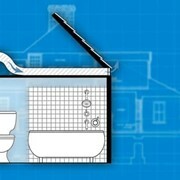 Spill kit is supplied in a 360 litre green wheelie bin. 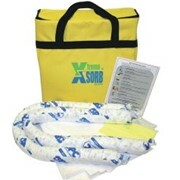 Please note: absorbent capacity will vary depending on liquid viscosity, specific gravity and temperature.